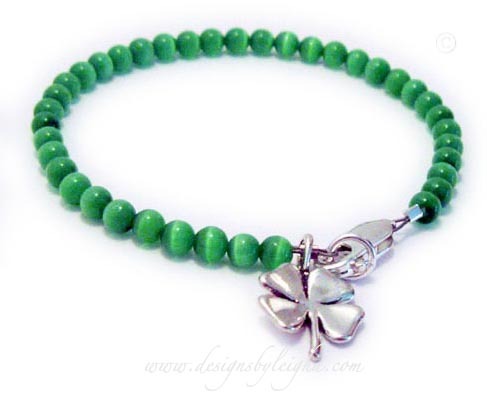 Shown with an add-on Shamrock Charm. 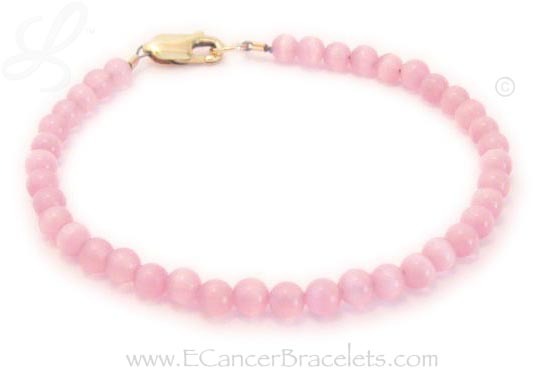 You may add as many charms as you would like to this Donor Bracelet. 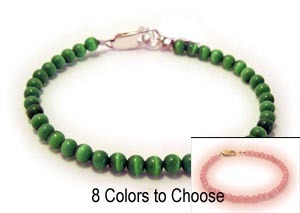 This is a Donor Awareness Bracelet with Green Cat's Eye Beads. 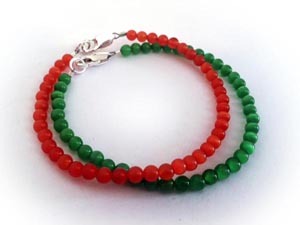 This bracelet is shown with 4mm green Cat's Eye beads and a .925 sterling silver clasp. The beads are Cat's Eye Beads and are available in several colors. This bracelet doesn't come with a ribbon charm but you may add it during the ordering process. They added a Shamrock Charm to their order. This bracelet is available with a sterling silver or gold-plated clasp. The Cat's Eye Beads are small 4mm round - Grade A Cat's Eye Beds. You may add charms (ribbon charm) during the ordering process.